If you’re addicted to the car crash reality TV show they call Married at First Sight, you would have noticed the shocking hair extensions on one of the brides, Elizabeth. Poorly blended, noticeable hair extensions are enough to make you cringe. In fact, the reason people are reluctant towards hair extensions stems from the fear of an unblended result. Seamless1 Hair Extension prevent this issue with their AAA standard individually crafted hair extensions, their products provide clients with quality, affordable hair for a seamless result. 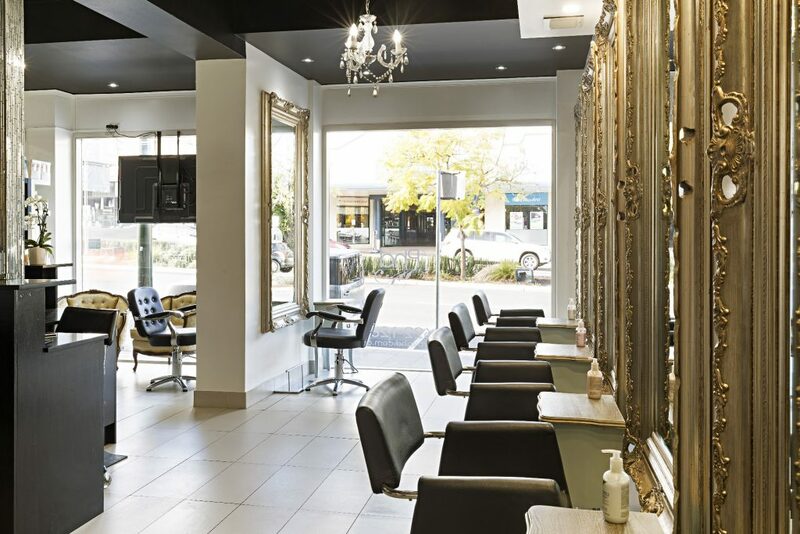 As an official stockist of Seamless1 hair extensions, our Hair by Phd salons – Parramatta,Carlingford and Camden and – offer quality hair extension application and styling services. We have been doing hair extensions for many years and we are always looking at how adding extensions to a style can elevate a client’s desired look. Hair extensions are an amazing way to give people of all ages longer and fuller hair, instantly. There are so many ways we can use hair extensions, including adding extensions to volumise hair on short styles or thin and damaged hair, adding colour to your style as well as providing instant length to your hair. You can even pop in clip-in extensions and you can have a totally different look for that special occasion in ten minutes! I recently did a Q&A with our Hair by Phd Parramatta Director (and my sister) Louise about how hair extensions boosted her confidence. In the video, Louise explains how her hair-loss had a massive impact on her self-confidence until she discovered hair-extensions, which had a life-changing result on her appearance and self-esteem. Hair by Phd recently had a Seamless1 training day for our team of stylists. 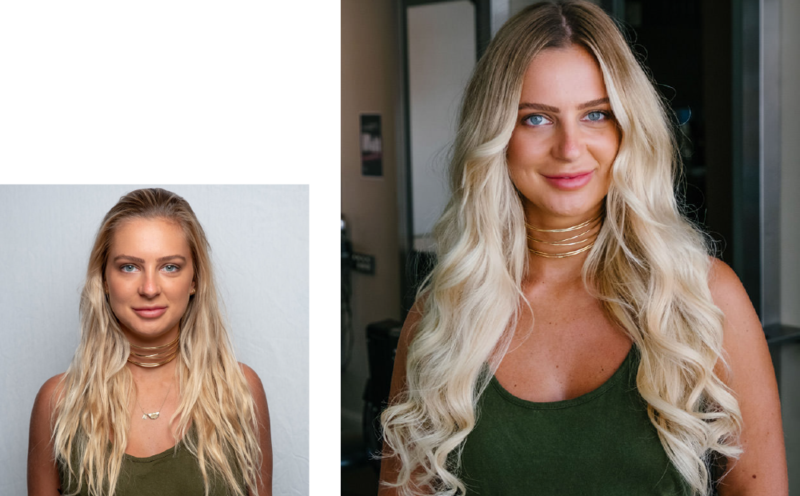 We did a photoshoot with photographer extraordinaire, Justin Aveling to showcase our four stunning models whose hair was transformed by the power of Seamless1 Hair Extensions. Below are the stories of each model and how extensions done properly can have an uplifting effect on you. Eliana is our gorgeous over 40’s model, she has thick wavy hair, and was after more length and colour in her hair without having to spend the time growing it long and potentially drying out her hair, by adding more colour. We used three different colours in her hair to create this complex play on colour (Cappuccino, Espresso and Opal/Mocha). Eliana was so pleased with the result she was floating out of the salon after we did her hair, even her hubby thought he had a new bride that night! Eliana beams with a new-found confidence, her smile is this shot says it all. Brianna is a professional model whose hair had taken a beating after having bonded hair extensions. She had taken them out and her hair was left in a mess, so she resorted to getting a short-style cut to mend the damage. When I first spoke to Brianna, she was a little reluctant to have extensions after her past experience. I reassured her that Seamless1 tape extensions, if done properly, will not damage the integrity of her hair and she will have her natural long locks back again in no time! We used three different blonde tones to match Brianna’s highlighted hair (Vanilla, Opal and Milkshake). Brianna was thrilled with the end result. She had her beautiful long hair back which looked healthy and stunning. Colour matching is a real art, where professional application of hair extensions leaves client’s hair looking nourished and natural. Sophie is part of the NSW Swifts netball squad. Her vigorous training schedule makes it very hard to manage her hair. Sophie is getting married later this year and wanted longer hair for her wedding without having a high maintenance regime as she is unable to dedicate time to her hair. We used clip-in extensions for Sophie’s hair. This gave her extra length in a matter of minutes that totally changed her look. Sophie can conveniently take out her clip-ins for training and netball games and reapply the clip-ins herself any time she feels like a change of look. Clip-in extensions are a great tape extension alternative to fit in beautifully with a busy lifestyle like Sophie’s. As an added bonus, Sophie will also have the long hairstyle of her dreams for her wedding day! The colour we used for Sophie’s clip-in’s is Milkshake/Cinnamon. The stunning Ash does some part-time acting and modeling; she wanted to add some length and volume to her hair. Her hair was already reasonably long but Ash wanted it longer without the pain of waiting for it to happen naturally. We used two colours on Ash to blend the extensions in with her highlighted hair. (Summer Days and Velvet/Vanilla). The results speak for themselves – longer, fuller gorgeous hair in an hour with the Seamless1 tape extensions. It’s like magic! The power to really change someone’s look in a short period of time is something the team at Hair by Phd have at their disposal to give to you. If you are interested in having a complimentary consultation on how Seamless1 Hair Extensions can change your look, contact your Hair by Phd salon to book an appointment. Seamless1 Hair Extensions are available at our Parramatta, Carlingford and Camden salons. Check out more of our hair extension images on our social media, or get in touch here to organise a consultation time. More than ever, we know that our clients are concerned with the amount of waste being produced by society. Programs like The War on Waste from the ABC and legislation changes have really brought concerns about the future of recycling and our planet into the spotlight – right where it should be. We know that in hairdressing there is a lot of waste produced. From empty shampoo bottles, to hair and chemical waste after your colour is applied, to the 1,500 tons of recyclable aluminium back to landfill by the Australian Hairdressing industry alone each year. There are plenty of ways in which a relaxing afternoon at the salon could be causing serious harm to the earth. We decided a number of years ago that this couldn’t continue to be the case. Hair by Phd have been members of the Sustainable Salons programs in all our salons for the past few years. We are proud to share that we now recycle up to 95% of our salon waste in our Parramatta, Carlingford and Camden Salons and it is all thanks to our clients. A $2.50 donation from you on your hair treatments in salon over the past 2 years has allowed us to change the way our business is run and allowed us to help do our bit to make the world a better place. “The hairdressing industry needs to take action now, and take care of the environment as much as we take care of clients”, says Paul Frasca, co-founder of SSA. Hairdressers today really care about making their salon as eco-friendly as possible”. Watch our latest episode of Hair by Phd On The Wall where we interview Paul Fresca, co-founder of Sustainable Salons Australia, and take a tour through their depot as we look to what actually happens to our salon waste through their program. Every time you visit one of our salons, your visit supports our ongoing commitment to reduce our ecological footprint, achieve zero waste, support charitable causes and implement environmentally sustainable practices in all that we do at Hair by Phd. We want to thank our loyal clients for their support in our work with Sustainable Salons Australia, and to the team from SSA for their support of our team as we learn new, less impactful ways of hairdressing. The future of the hairdressing industry certainly looks greener for your efforts. 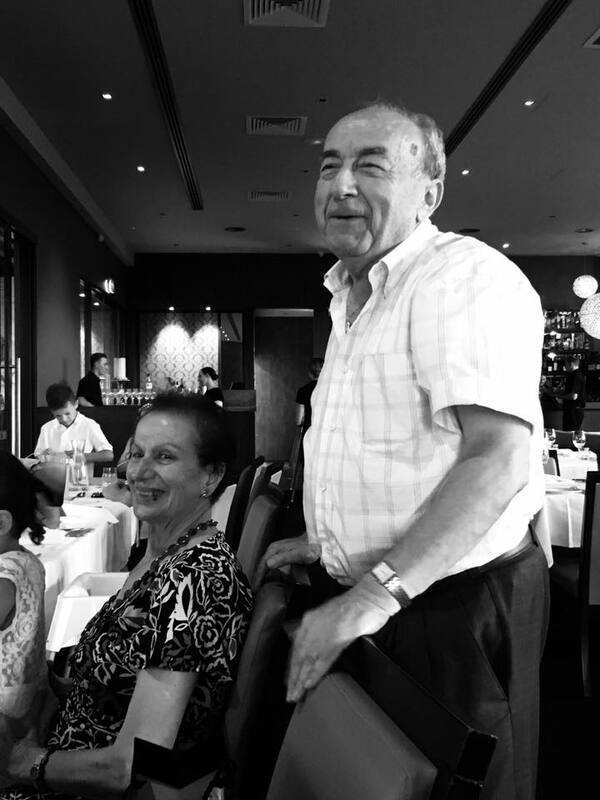 DOLAN WARREN AWARDS 2018 – Hair by Phd. The team from Hair by Phd were thrilled to once again be invited to create beautiful hair for the winners and attendees of the Dolan Warren Awards. Sarah Merzi, Cassandra Kavalieros, Jessica Pierovic and Monique Kalefeh from Hair by Phd in Parramatta were our representatives at the Schwarzkopf Pro hair styling suite, alongside the team from Kokum Hair Skin and Body from Newcastle. As we head into celebrity awards season, having just sat through the drama that was the Met Gala, this is a great chance to take stock of what the top formal looks are going to be for the 2018 season. The Dolan Warren Awards are no different, albiet possibly a little more practical than the Met Gala. We can take away from the event that soft waves and textured curls will continue to dominate the formal hair scene, with sleek ponytails being a popular second choice. More formal updo’s seem to be taking their time in the shade, although there will always be ladies who love this more formal style. Whether it is for a wedding, formal occasion, prom or dance, Hair by Phd are experts in creating truly beautiful, wearable hair styles for formal occasions. We believe that it is about creating styles that move with you and will last through the night while still looking absolutely stunning and special for your big occasion. For formal or bridal style bookings, email the Hair by Phd Bridal team on bridal@hairbyphd.com.au and we can assist you in creating some truly stunning hair for your next formal occasion.